One Scoop A Day For Total Wellness! Green Fusion Superfood Power | One Scoop For Total Wellness! 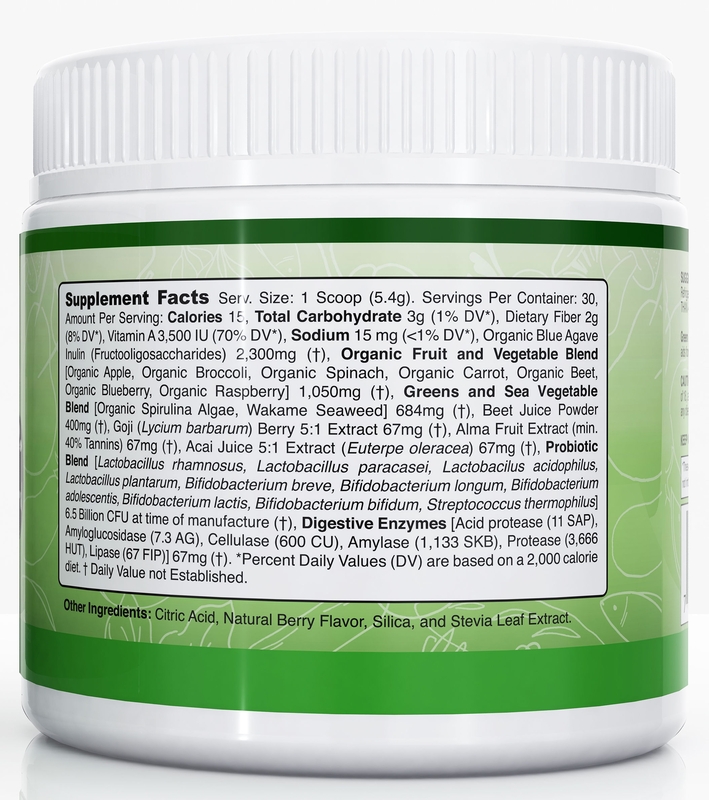 ORGANIC SUPERFOOD BLEND - Amazing Green Fusion Superfood Powder is a complete whole food formula with an extensive combination of ingredients, including organic fruits, vegetables, greens, green sea vegetables, probiotics, digestive enzymes and more. Each ingredient is carefully chosen to support overall health & wellness. 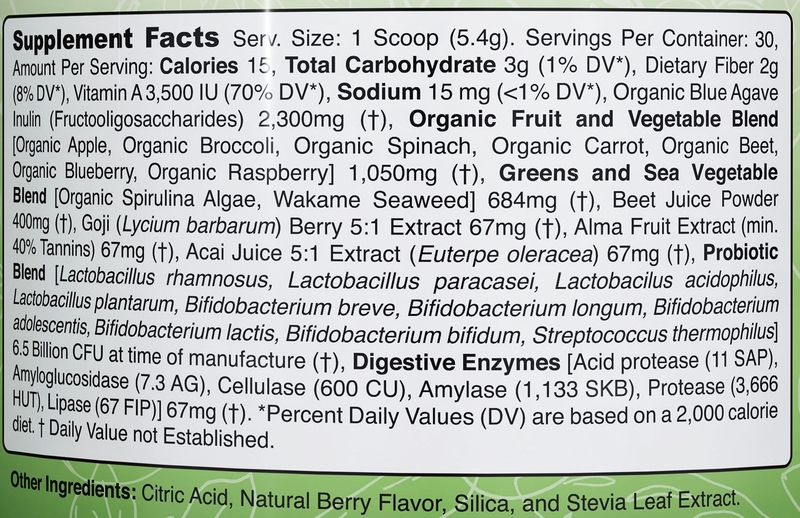 * Just add one scoop to water or your favorite smoothie for a healthy heaping of vegetables, fruits, vitamins, minerals, antioxidants and 6.5 billion live probiotics, plus digestive enzymes! GREENS ARE GOOD, GREEN POWDER SUPERFOOD IS EVEN BETTER! – Green Fusion superfood has high concentrations of easily digestible nutrients, beneficial compounds to support dieting, provides vitamins and minerals to protect, cleanse and promote health & wellness*. Our formula contains a wide array of beneficial substances including proteins, protective photo-chemicals and healthy bacteria, helping you to build cleaner muscles and tissues, aid your digestive system function, help support a healthy immune system and build antioxidant protection. SAFE, PURE & USA MFD - Our formula is gluten-free and made with no GMOs. It is also dairy-free, caffeine-free, and contains no soy. It's sweet taste comes from natural berry powder and has no artificial sweeteners. 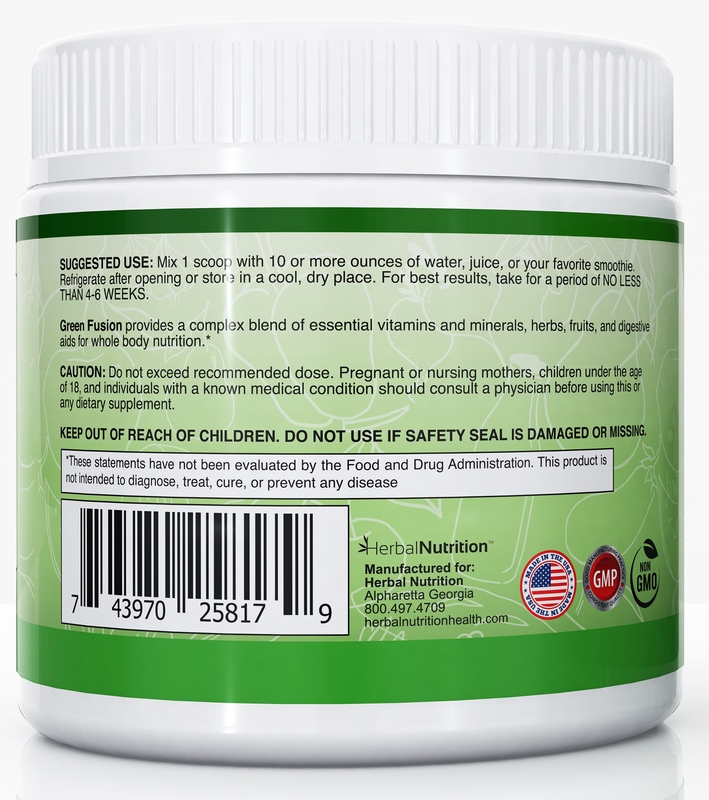 MADE IN THE USA by an FDA certified manufacturer, Green Fusion is safe and of the highest quality. 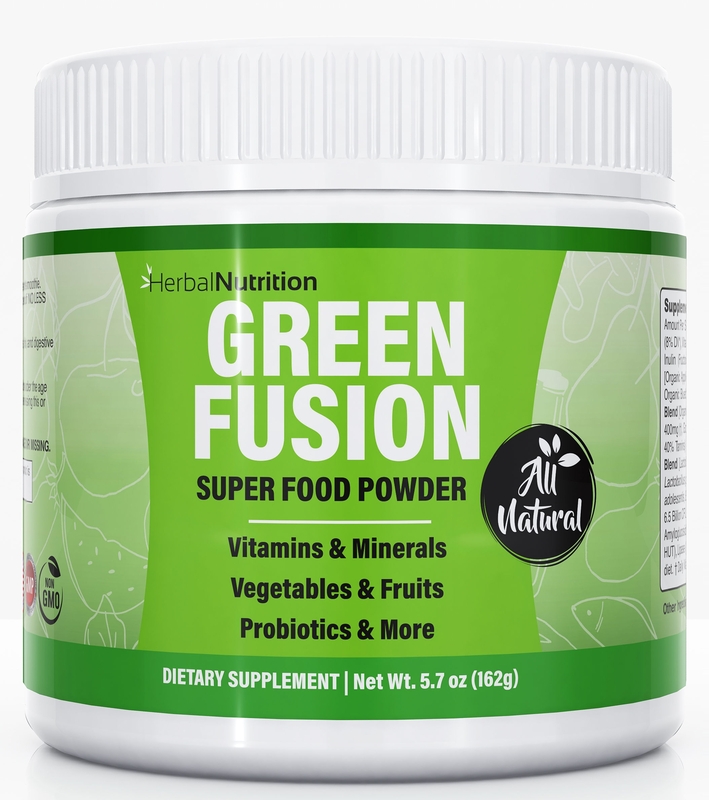 To learn more email us at support@herbalnutritionhealth.com and we will send you our research paper "All About Green Fusion"
Mix 1 Scoop with 10 or more ounces of water, juice or your favorite smoothie. Refrigerate after opening or store in a cool, dry place. 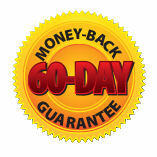 For best results take for NO LESS THAN 4-6 WEEKS. Unlike many powder products, this one actually mixes very thoroughly and is surprisingly pleasant tasting. I got it due to my dr's nag that greens were essential to good eyesight as well as blueberries, and since I'm old I figure I need all the help I can get. So far so good - at least I am still seeing my computer keyes. I Must Say I Love This Stuff! I must say I love this stuff! it mixes very easily and it's great with just water! I drink it everyday and it gives me all the vitamins I need, I highly suggest this product especially if you don't get enough fruit and veggies! Although I would still recommend eating vegetables. I have been taking a variety of greens for years. This one is pleasantly different. First, it has a reasonably good taste. It's not ambrosia, but it is good tasting. Second, it is the finest powder I have ever used, making it more easily absorbed. It's a good product. I recommend it and will continue to use it. Omg I love this product. Tastes great. Gives me that boost that as a female of 58 yrs I needed. I felt myself slowing down. Since using this product, I have more energy than I know what to do with.